The North Haven Residence is a new single family residential project located in North Haven, New York. 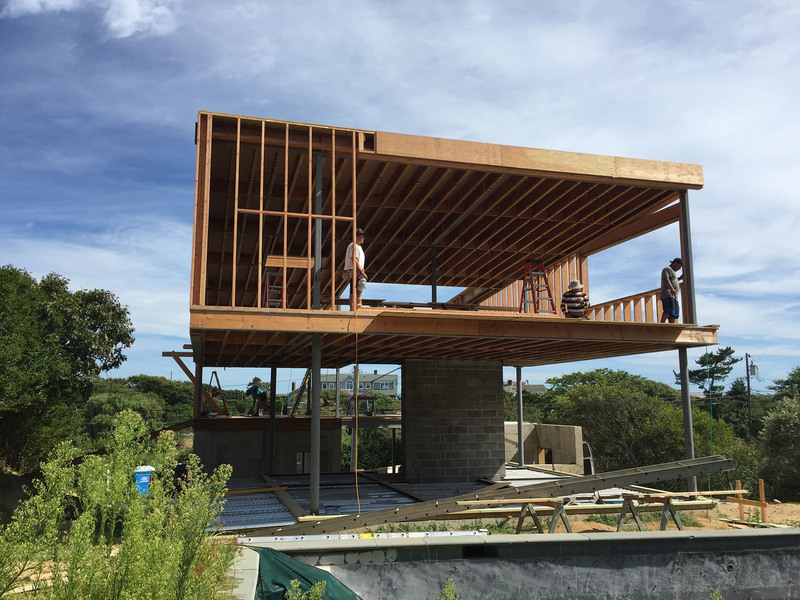 The project, designed by Audrey Matlock Architects, involves the introduction of new building program elements including a below grade garage and a bridge element that spans from the garage to a masonry end wall with a built in exterior fireplace. The bridge element visually encloses the end of the exterior pool and frames a view of the Peconic River beyond. 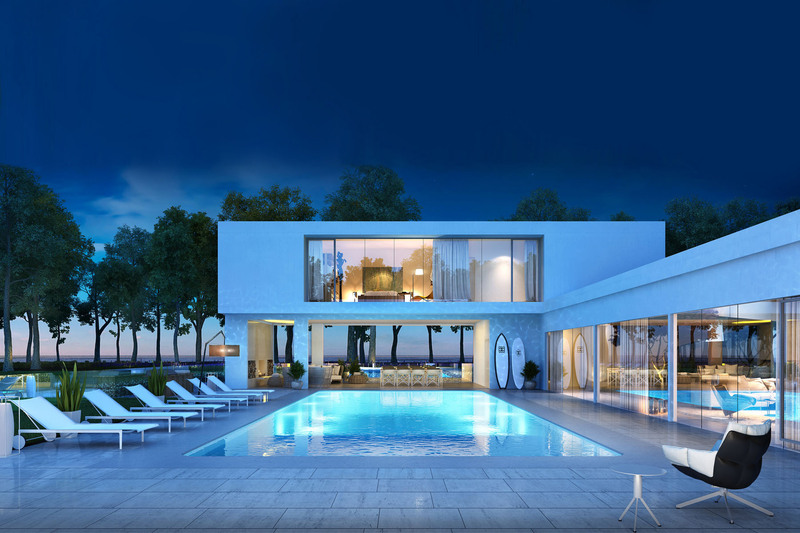 A glass enclosed walkway further encloses the pool and creates a link between the new program elements and the completely redesigned existing residence.